Christmas is all about families and children. From Santa’s Village to the Walt Disney one, Sorrento offers numerous events and initiatives. 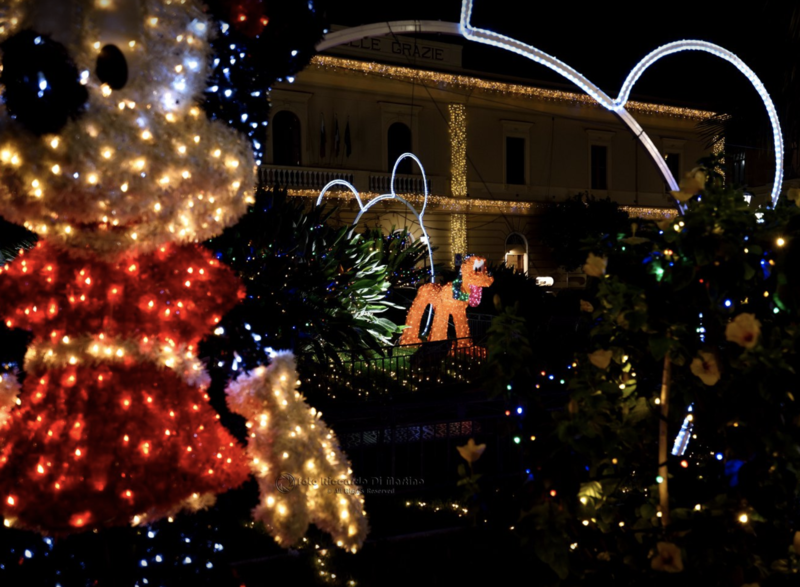 Piazza Sant’Antonino becomes one the main point of interest in Sorrento, the gardens of the Square are decorated with Walt Disney characters, a world of lights and colors that will enchant the little ones and Villa Fiorentino, on the Corso Italia, hosts the Village of Santa Claus. Find out more about the Christmas initiatives for families and children in Sorrento. 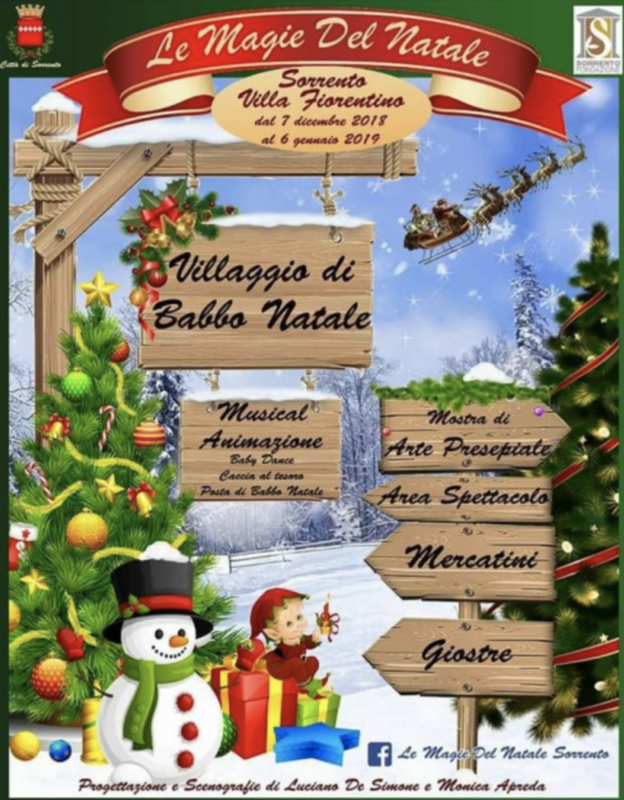 From December 7 to January 6 , Villa Fiorentino will host “The Magic of Christmas”, the main event of Sorrento city center for children and families. The beautiful facade of this elegant Villa on Corso Italia will be illuminated by lights, colours and games. Inside the courtyard, the little ones can walk around Santa Claus village, play on the carousel, write a letter to Santa Claus or take part in dance games. Do not miss the musical “the Grinch” that will be shown several times every day in different time frame. Adults, after a visit to the traditional Christmas markets, can visit the exhibition of ”the Neapolitan Nativity in Villa Fiorentino”. If you love theatre and poetry, do not miss the special appointments created by the actor Marco Palmieri “il Presepe prende anima” – “The Nativity takes reality”, it will be possible to admire at the translations in verses by the actors of some of the main characters of the Nativity. from Monday to Friday from 10am to 1pm and from 4pm to 8pm. Saturday and Sunday from 10am to 1pm and 4pm to 9pm. On December 24 and December 31 from 10am to 6pm no stop. On December 25 and January 1 2019 it will be open in the afternoon only from 4 to 9. Entrance tickets €2. The Christmas Village will be open in December on the 7-8-9-14-15-16-21-22-23-26-27-28-29-30 and in January on the 2-3-4-5-6.